Kate Middleton news: Why she wants kids to do Scouts. The childhood tradition Kate Middleton wants Prince George and Princess Charlotte to enjoy. This week, Kate Middleton visited the young Beaver Scouts during her visit to the Scouts headquarters in London. The mum of Prince George, five, Princess Charlotte, three, and 11-month-old Prince Louis, has been a patron of the Scouts since 2012, was a Brownie (a type of Scout) as a child, and volunteered for the group when she and Prince William lived in North Wales. People reports that at the event, the 37-year-old, who was wearing her own Scouts scarf, said involvement in the Scouts is a tradition which she’d very much like her children to follow. 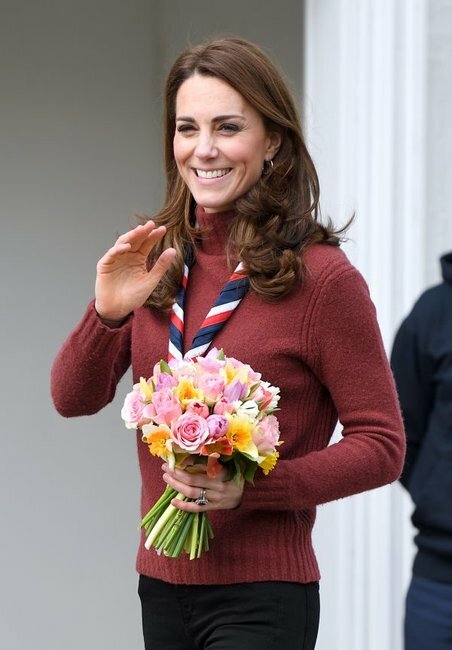 “She said she would like them to go into the scouting community because she loves what it stands for; that it’s a very open and inclusive way into life,” 14-year-old Lauren Noble, who helped host the Duchess during the visit, told the magazine. During her time with the Young Beavers, Kate helped plant a tree to mark the centenary of the group’s headquarters, and participated in a hand painting activity. Tahseen Patel, 17, told People that she spoke to the Duchess about how inclusive the Scouts can be. 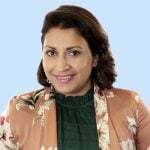 “I talked to her about the mosque and how important it is for religion and scouting to blend together and how we have to learn about each other’s religions and be united with each other,” Patel said. The official Kensington Palace Instagram account shared a post of the visit, explaining that, "research has shown that the first five years of a child’s life are the most pivotal for development, and for future health and happiness." 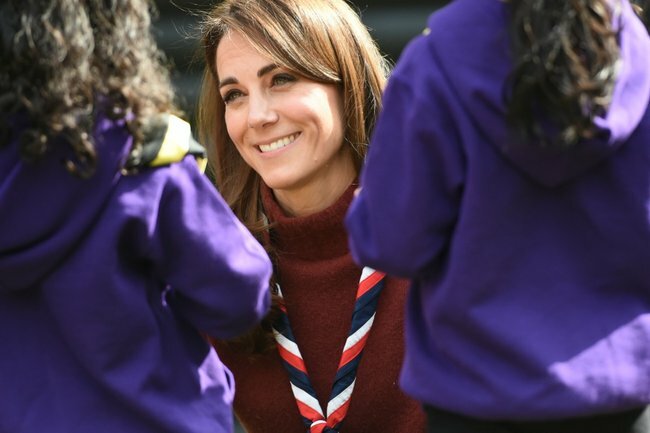 It further said, "The Duchess of Cambridge visited the @Scouts at Gilwell Park to meet children taking part in their pilot scheme exploring the potential of providing Scouting to children aged four and five — equipping them with key life skills and values of teamwork, leadership and resilience." LISTEN: Zoe Marshall talks about how she manages to see her friends when she has a baby. Post continues after. Did you, or do you children, participate in the Scouts or Brownies? Tell us in the comments below.